I’m proud to announce the release of my transcription for clarinet quartet of the first movement of Bach concerto in D for 2 violins. 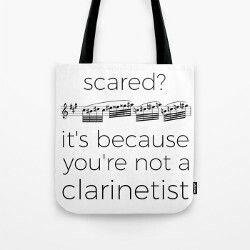 I did it when looking for new pieces to add to the repertoire of the french clarinet quartet “Turbulences”. 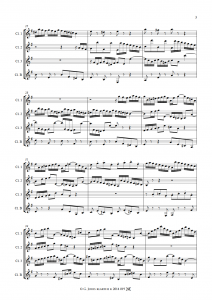 I split up the original solo violins, orchestra violins and viola parts to the 3 Bb clarinets, so each clarinet part has a good balance of melodic phrases and accompaniment sections, and enough spots to breathe. The bass clarinet plays the continuo, as it is in the original score. You can download the PDF file or order a printed copy on Klarthe website.